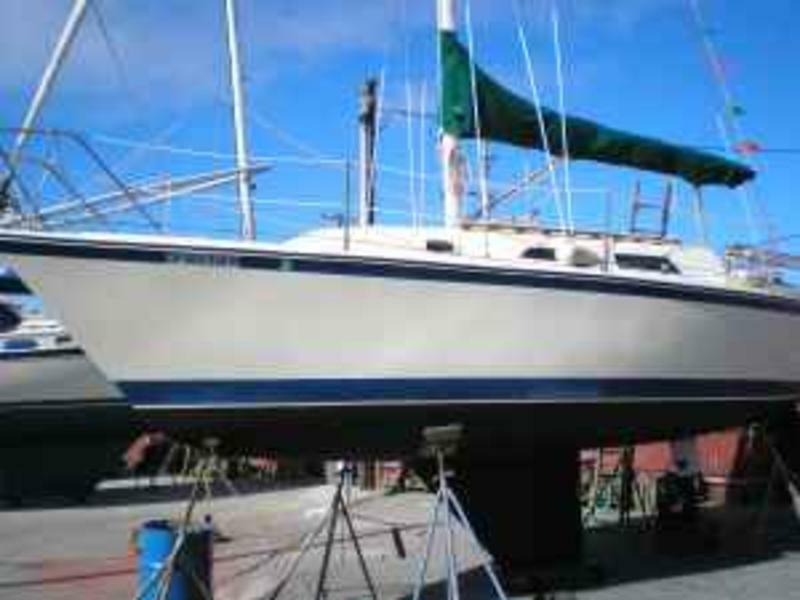 I’m selling Cecilie, my beautiful O’day 28 foot sailboat from 1979. It is the perfect boat for a sail in the bay; comfortable, safe, and spacious. Having a wheel instead of a tiller makes an appreciable difference. It is fully-equipped for weekend escapades on Angel Island or where the wind will take you. Cecilie has an electric oven, three electric stoves, fridge, radio MP3 IPod, barbecue, shower, water pump, new toilet and pull-out table able to host 6 people for dinner parties. She can also sleep 5 people. She has a wheel, a roller fuller, a 4 stroke Honda outboard (just got tuned up and under warranty from the outboard shop) and digital navigation information display. The inboard engine, Atomic 4, is out of order. I have been keeping her in Sausalito for the past three years and would consider passing the slip along, a beautiful spot, the last one on the LibertyShip pier with clear views of the bay ($280 per month). Also, She is a great live aboard. I lived on the boat for over 18 month.